Mason's inner wolf will go crazy without her. Lucy thinks he's already crazy. Werewolves aren't real. Right? Lucy Morgan left Ashtown, Georgia, ten years ago and planned to never return. Unfortunately, life didn't get that memo. She's back and now painful memories follow her everywhere. Until she meets him. Mason Blackwood is over six feet of sinfully gorgeous man who—for some reason—wants her. He also thinks he's a werewolf so… yeah. He's crazypants. But when he wants to have his wicked way with her, his sanity doesn't seem all that important anymore. 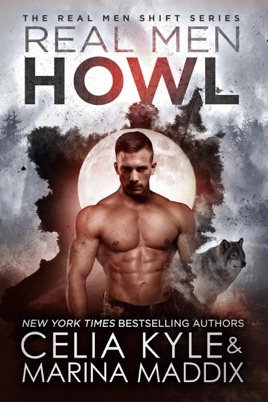 Mason isn't sure how much longer he can remain Alpha over the Blackwood pack. Without a mate to balance him, his wolf snatches more control every day. It won't be long before he loses himself to the animal entirely. Then he meets Lucy—a sassy, curvaceous beauty who calms his beast with a smile. One sniff is enough to tell him she's his mate, and nothing will keep them apart. Not even the pack's deadliest enemy who's determined to kill Lucy before Mason can claim her. I’m sorry - a woman who listened to her parents be literally torn apart by wolves...isn’t afraid of wolves? Yeah, no. The author is asking for way too much in the way of suspended disbelief.